Hello, dear friends. I've been feeling a little left out of the party because I don't have an iphone. Don't misunderstand me. I don't want an iphone. My BlackBerry is my best friend and I prefer the fun keyboard to a touch screen. And BlackBerry Messenger is the best invention since sliced bread because I can essentially "text" all day with friends around the world for free! But I have to admit that I was just a liiiiiiiittle bit jealous of the peeps who could purchase the Lilly Pulitzer iphone case. So I decided to make a Lilly Pulitzer skin for my phone and cover that with a clear case to protect the skin. For the skin, I used the Text Message print that I downloaded here. What an appropriate embellishment for a phone, don't you think? 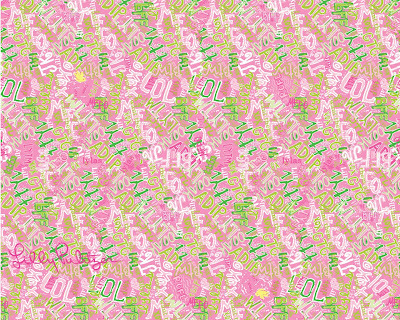 You can download some additional Lilly Pulitzer prints and patterns here. They're great screen savers. 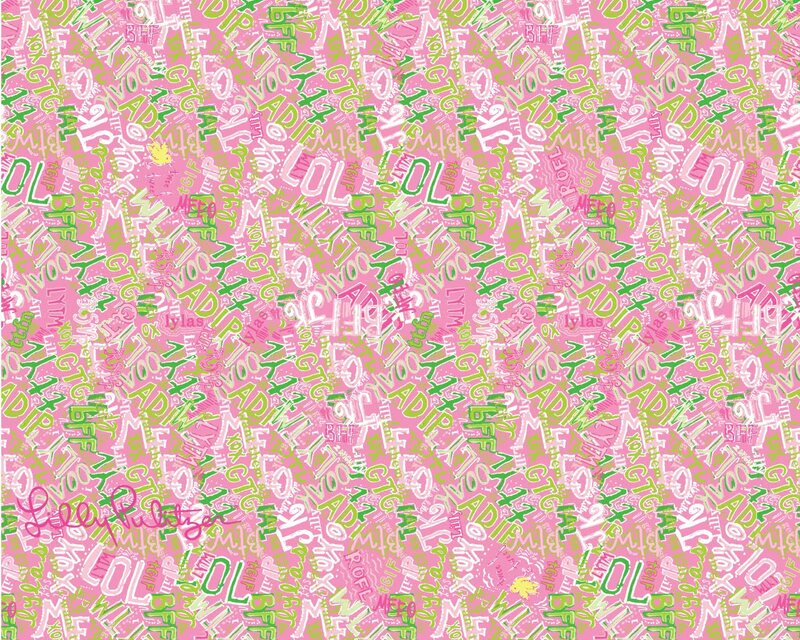 By the time I'm bored with one screen saver, my friends at Lilly corporate have already been kind enough to share another one. Here's the final result! Do you have an iphone or a BlackBerry? Do you use a special case or skin? So cute! I have a blackberry, but I want an iphone. When our contract expires, we are heading to AT&T to get one. :) I have until June, so I think I will go ahead and get a skin made like you did for your blackberry! No reason to have a scratched up phone for the next 9 months! I also felt left out when Lilly made the Nook covers since I have a Kindle. I really want one of those cute covers! What a cute idea!!! I love my Iphone and need to check into one of the Lilly cases. I am from the stone age because I have neither. I'm on the fence re getting a Blackberry or iPhone when I upgrade. I like the idea of making your own skin for your Blackberry. You are so crafty! My mom has that exact iphone cover and it makes me so jealous! but I can't seem to stray from Verizon -- here's hoping they get the iphone in 2011! That is so clever! I love my BlackBerry too!!! I am a blackberry lover too! I got the Kate Spade Blackberry pouch about a month ago and I love it!! love love love it... so once I get the pattern how to I make my blackberry cover? You are so creative! I was pretty disappointed that I have to miss out on the super cute Lilly Iphone case since I'm a blackberry girl. Now thanks to you, I don't have to! Love it. I have the Iphone case that was a GWP a few weeks back. It's cute but your's is darling! I just got the Lilly cover you pictured and I LOVE it!